A Linux monitoring server with with double LAN Ethernet port and additional SMS management features, similar to the EASYG2 version of the G25 family. Designed to be easily integrated with your IT infrastructure (include custom developments, aided by our Support Team), and powered by the well known Nagios Core, it differs from EASYG2 product thanks to its more powerful hardware that allows it to monitor a wider number of systems, also using more advanced and complex checks. Moreover with the custom integration of USB sensors the device will be able to check not just the IT infrastructure, but also the environment in which it has been installed. ODBC compliant, to easily access internal database. Monitoring FoxBox LX800is a compact and low cost Linux-based server tomonitor network devices in realtime, using a Nagios engine, also able to send and receive general purpose SMS messages using a commercial SIM card. 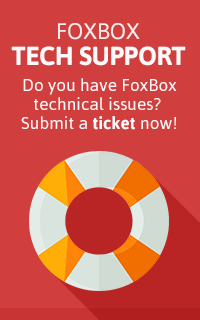 Monitoring FoxBox LX800 offers basically the same features of the others FoxBox, as a Web server with a fully-featured web interface to manage SMS services. Furthermore, it works as a monitoring server with a web interface showing all the features available in Nagios, and a dedicated system to collect all the alerts and instantaneously send them via SMS to the contacts defined in configuration files (it is still available the default behavior, sending alerts via email channel to pc, smartphones, ecc.). Lastly, it is available the USB sensors integration, to connect various kind of sensors (temperature, humidity, presence, ecc.) thus giving the possibility to instantly check the environmental situation in realtime.